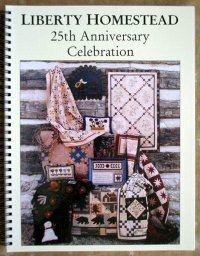 In putting together this anniversary book, one of my goals was to bring back some of my favorite quilts from books and patterns that are no longer in print. And after 25 years, there was quite a lot to choose from. 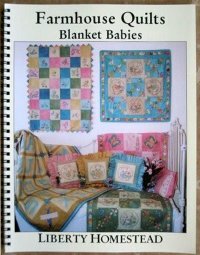 Of course I'm always working on new ideas, so I have also included 18 new designs from bed quilts to wall quilts, penny rugs to pillows. 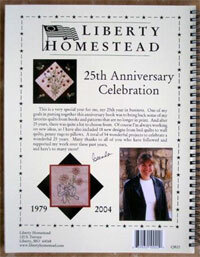 This 145 page spiral bound book features a total of 54 wonderful projects to celebrate a wonderful 25 years. Many thanks to all of you who have followed and supported my work over these past years, and here's to many more! 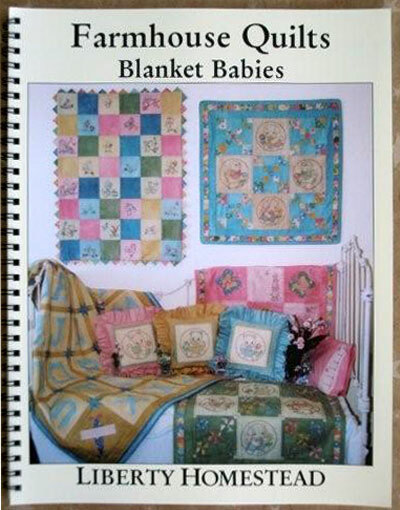 Blanket Babies is a fun, new collection of baby quilts & wall hangings using a variety of techniques: embroidery, piecework, & applique. Many of the embroidery designs are based on vintage pieces that are just as adorable today as they were when our grandma's stitched them. 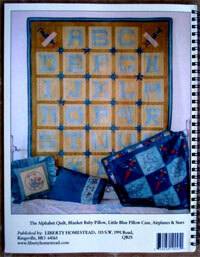 There's also an alphabet quilt, complete with numbers, that you can use block by block to personalize or date your work for your special little one. Most of the blocks in these quilts are the same size so you can mix and match your favorites. The fabrics are the Liberty Homestead Hand Dyed Cottons in our new softer color range, combined with an array of juvenile prints and 30's reproductions. 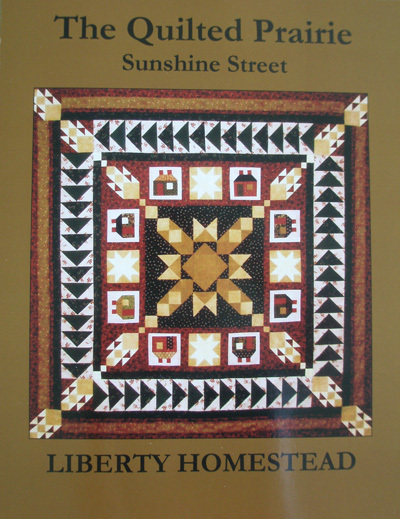 Sunshine Street is the second in a three book series called "The Quilted Prairie". 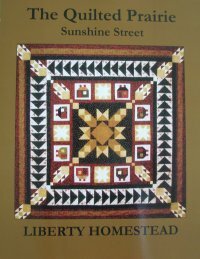 The front cover shows little pieced houses all around a central sun that radiates outward through the neighborhood. 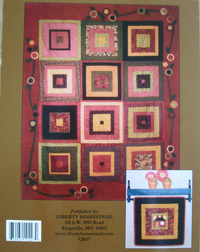 On the back cover you see a 'squares in squares' quilt that is a perfect showcase for all your favorite fabrics. 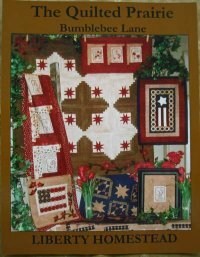 Inside you'll find more small pieced houses, a traditional schoolhouse wall quilt, and little banners with wool applique sunshine. There are also two embroidered pillow patterns from our popular "Parlor Pillow" collection. This spiral bound book has 45 pages and 11 projects. 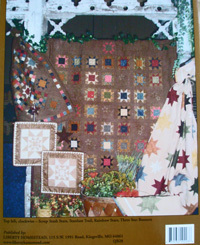 Stardust Trail is the final book in the three book series - The Quilted Prairie. True to it's name, this book is all about stars. From comfy lap-size throws to 12" banners, there's a star for everyone and everyone is a star! 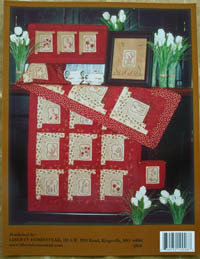 Projects are pieced with some wool applique, some ric-rac trim, some ornamental buttons, some decorative stitching, and some traditional quilting. 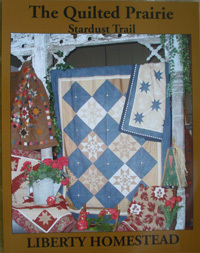 The Stardust Trail is a spiral bound 44 page book with 13 projects.